When you have a tree that has the ability to grow up to 100 metres, you are going to need to be ready with the knowledge of how to keep it in check so that it remains beautiful whilst nicely controlled. Conifer trees are mostly evergreen and are well known for growing rapidly to soaring heights, although you will come across various dwarf varieties. Really though these are slow growing types, and given time they will reach extensive heights just the same, which means regular care and attention are essential. Pinophyta is the Latin name for the conifer, which incorporates the likes of the pine, the yew, the Leyland cypress and the Douglas fir. Pruning these trees is something that must be done in a certain way, and the timing will have to be absolutely spot on. Let’s take a look at some of the most important conifer pruning and care tips that you really need to know about. Why prune a conifer tree? It may come as a surprise to learn that the conifer tree actually needs minimal pruning. This is a tree that has the ability to maintain its shape very well. However, regular pruning does help to contain conifer trees within their surroundings, so that they do not exceed their boundaries and start to cause issues with neighbours and public land. Bear in mind that the dwarf conifer is simply a slow growing variety. It will not stay small in stature for very long. It may take longer to grow than a standard conifer tree, but it will still eventually reach towering heights. So don’t discount conifer tree pruning as unnecessary if your conifers are of the dwarf variety. Conifer tree pruning also boosts the health of the tree by promoting good air and light flow. You will find that this prevents browning of leaves and loss of leaves at the base of the tree. 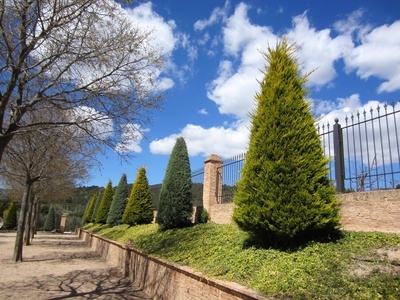 Regular pruning helps to contain conifer trees within their surroundings. When to prune a conifer tree? Your timing when it comes to conifer tree pruning will vary depending on the specific species you have. For example, for yew trees pruning is ideally carried out twice a year: once in the summer and then again in the autumn. The same twice-per-year rule applies to the Lawson Cypress, although this is best timed once in spring and once in summer. Timing for the western red cedar is spring and then early autumn. It is very important never to trim a conifer hedge after August. This can result in bare patches. Also, never prune a conifer during hot or dry spells, as this can lead to the leaves turning brown. Conifer trees that need pruning a little more than this include the Leyland cypress. Take your shears to this one between April and late August. You can do this up to three times during the growing season, providing the tree is established. Most conifer trees require minimal pruning, with the exception being where green branches appear in trees where there is variegated or coloured foliage. Some conifers, such as yew, can withstand hard pruning. However for others you must take great care not to prune into old wood as the tree will not regrow. Instead, only trim the green foliage to a mossy finish, taking care not to prune into the brown wood. Once you have removed the growing tip, conifers will grow very conservatively upwards sprouting just a few wispy shoots that can be easily trimmed. You must take great care not to prune into old wood as the conifer tree will not regrow. As a conifer owner you are relatively lucky in that these trees are not really very demanding. Feeding wise you can get away with an annual feeding of 50-100 grams of general purpose fertiliser per square metre every late winter. You are well advised to mulch your conifers regularly to help keep weeds down and to deliver nutrients to the tree and improve soil conditions and maintain moisture. It is good practice to mulch in late winter following your fertiliser application so that winter moisture reserves are conserved ahead of spring and summer. If you have recently planted a new conifer then you will need to water it carefully. You can follow the watering instructions here provided by the RHS. Once your conifer tree is established you won’t need to water it too often. One last thing – if you spot any shoots arising from the roots – remove them. You can usually just smudge them out, although you may need to snip them if they have started to establish. You are well advised to mulch your conifers regularly to help keep weeds down and to deliver nutrients to the tree and improve soil conditions and maintain moisture. If you find brown leaves on your conifer tree this may alert you to the presence of pests or diseases. Alternatively it may be down to incorrect or poorly timed trimming, or even certain growing conditions. 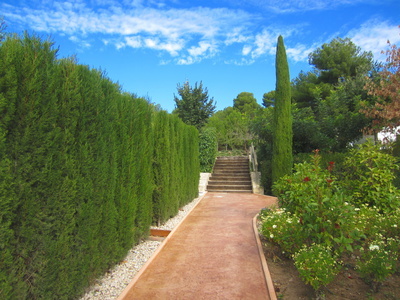 Brown patches are a particular problem for the Leyland cypress, the Lawson cypress and the western Red Cedar. Pests that can cause brown patches include the cypress aphid and scale insects such as the juniper scale. Also be on the lookout for Pestalotiopsis, a fungus that causes dieback and brown patches, usually during wet summers. Symptoms include black fruiting bodies on the leaves. Coryneum canker will also cause branch dieback in larger Leyland cypress and cedar trees. Honey fungus and Phytophthora root rot will present as browning almost throughout the whole of the tree and may even lead to the death of the tree. If you have a hedge made up of two or more predominantly evergreen trees and it grows to more than two metres in height, then this will be classed as a ‘high hedge’. This will then be governed by the Anti-Social Behaviour Act 2003: Part 8. 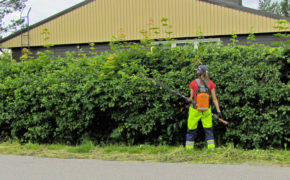 You can find more information about nuisance and overgrown hedges here. 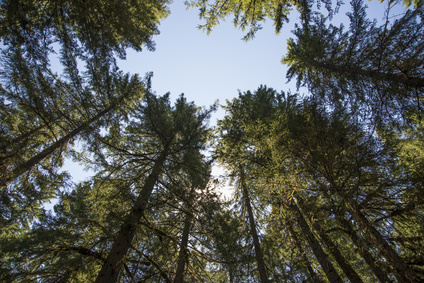 The law also prevents any works being carried out on conifer trees where there is a Tree Preservation Order (TPO) in place unless permission is obtained. This can take up to eight weeks to be provided. In addition, if the tree is situated in a conservation area, permission must be obtained before going ahead with works of any nature. Lastly, under the Wildlife & Countryside Act 1981, it is an offence to damage or destroy the nest of any wild bird whilst it is being built or is in use. This means that if birds are nesting in your conifer tree, then you will need to put any pruning off until the nests have been abandoned at the end of the nesting season, which usually runs from 1 March to 31 July. If you have a conifer tree or hedge on your land that needs expert care or pruning, why not contact TH Trees Ltd? As fully qualified and extensively experienced tree surgeons, we are able to offer specialist knowledge and skill in all aspects of conifer tree care and pruning. For a free, no-obligation quotation, give us a call on 01268 642814 or get in touch here.